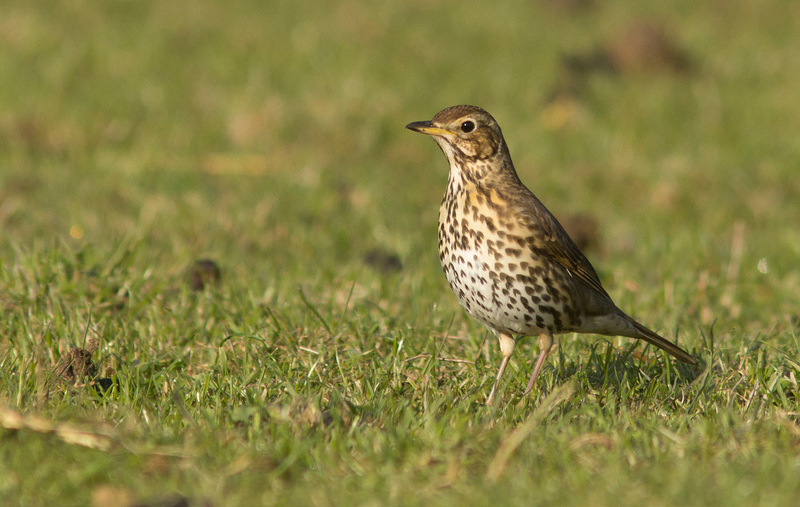 For the last ten days or so I have been waking up absurdly early and driving off in search of Ring Ouzels and perhaps Redstarts around like fields around Folksworth-Morborne-Haddon, Moonshine Gap, Caldecote and Connington airfield. So far, no luck. 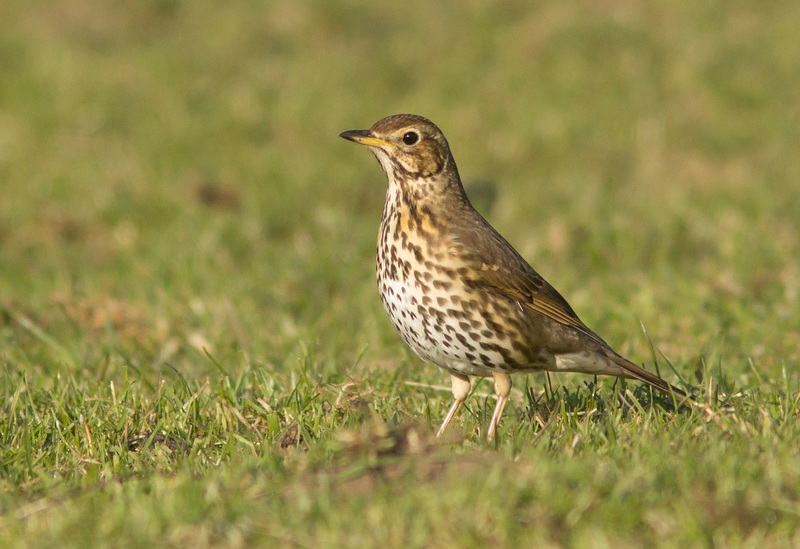 On e striking thing, though, has been the number of Song Thrushes about. Loads of them. 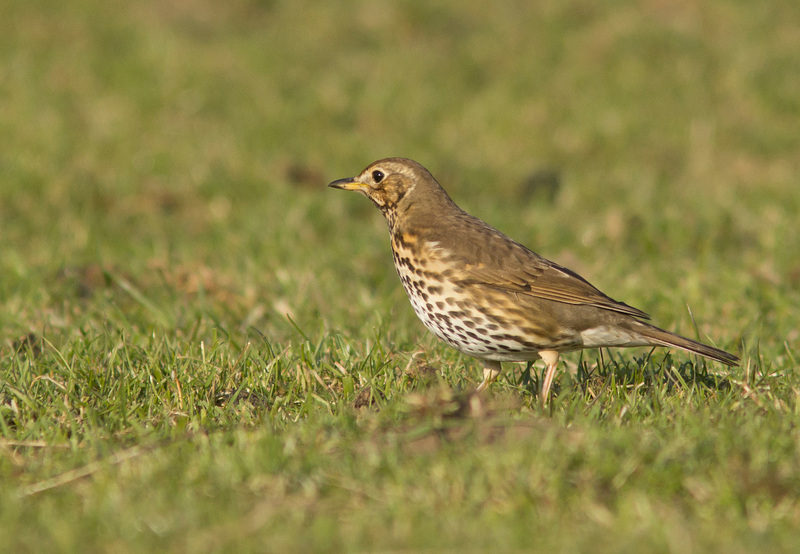 And sometimes out feeding in fields (usually near the edge) in small flocks of five or six birds, like so many Redwings. 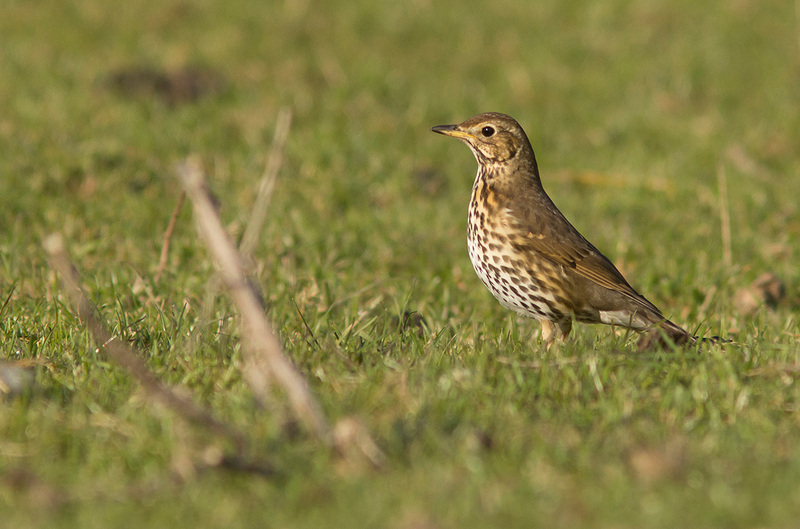 It seems odd to see Song Thrush flocks! 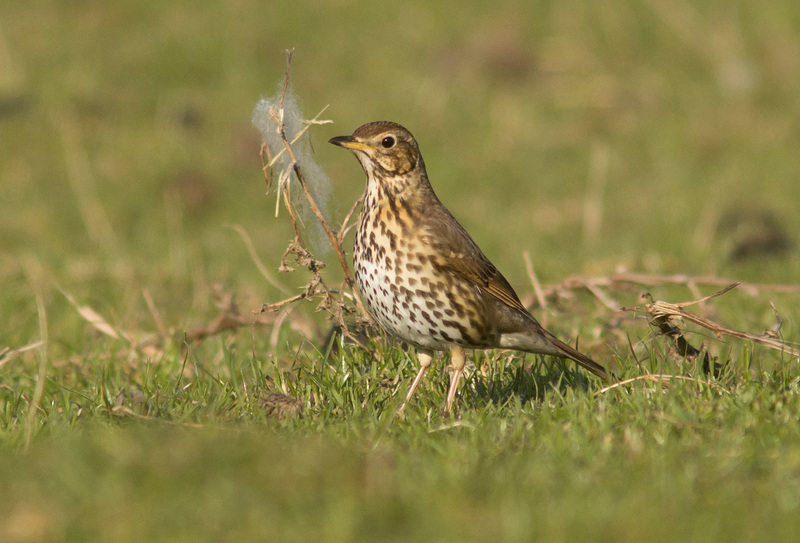 ANyhow, this one was happily feeding in the 'ram' field at Caldecote, among the sheep poo.